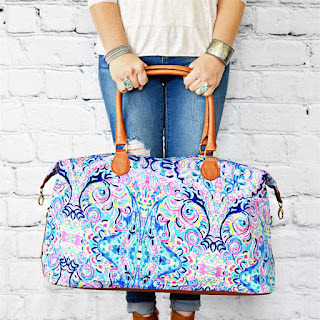 I love these Ellie Weekender Bags for ONLY $19.99 (Retail $38.99)! Perfect for a last-minute adventure, this Ellie Weekender is spacious enough for a change of clothes and toiletries without being too bulky. The colorful pattern adds a pop of fun to this women's handbag.